A story about the issue of our times, told by a little girl. 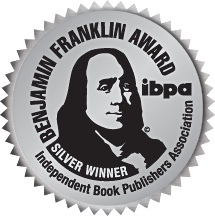 Little Girl Leaving has won a silver Bill Fisher Award for Best First Book (Fiction) from the IBPA Benjamin Franklin Awards for 2019, regarded as one of the highest national honors for independent publishers. Little Girl Leaving is a Finalist for all three 2019 Eric Hoffer Book Awards announced to date, for superior work by debut authors, most thought-provoking books and superior cover artwork. “This small list of finalists is an honored distinction” announced prior to the Eric Hoffer Award Grand Prize. Little Girl Leaving is the only Finalist in all three categories. — Marianne Benkert Sipe, M.D., elected a Distinguished Life Fellow by The American Psychiatric Association in recognition of significant contributions to Psychiatry. Her late husband, Richard Sipe, was a world-renowned expert on child sexual abuse in the Catholic Church, depicted in the Academy Award-winning best picture, "Spotlight". His support was an inspiration for the author. The 1960s have come to a close—it’s 1972, and America is changing. So is Deidi’s world; she’s seven, and her family is moving. As she packs her room and unearths precious objects from her past, her thoughts begin to stray to the years before—to her first memories in 1968, and all that followed. From these reveries unfolds a story of terrible abuse and incredible survival. We see Deidi grow from a three-year-old whose understanding of the world is just beginning to form to a child whose courage, compassion, and sense of wonder persist despite every obstacle. Through her vivid recollections, the stark landscape of rural America, the political and social turmoil of the era, and the brutal power dynamics of adults come into sharp focus. Deidi’s story reveals the darkness roiling beneath the surface of American life and the way children are forced to confront it themselves, weaponless and alone. For Deidi, whose family continues to fall into deeper and darker cycles of sexual abuse and violence, survival is a matter of clinging desperately to the light in the world around her—no matter how dim it grows. By turns heartbreaking and stunningly beautiful, Little Girl Leaving is a reminder of the incredible power and fragility of a child’s spirit, and a call to action to protect it at all costs. “An enthralling read, a brilliant read. Share Little Girl Leaving on social media. Help people understand and take action to protect children.